Oops! 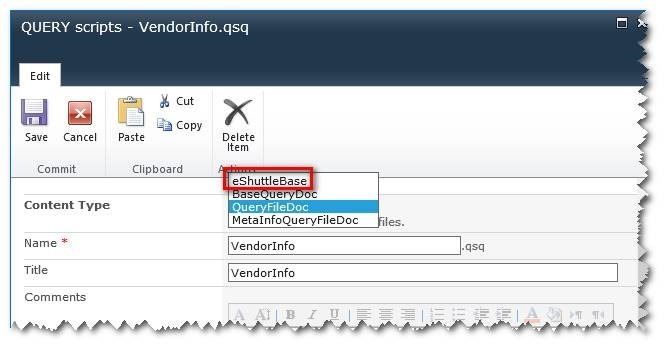 I Accidentally Uploaded a Document to My Winshuttle Query Scripts Library | Are you a user? In my new job and new role, I’ve entered the world of Winshuttle, a suite of apps that allow you to easily and non-technically integrate SharePoint Workflows (created with Winshuttle Studio) with SAP transactions, to effectively eliminate the “swivel-chair” integration that often occurs between two systems. However, like any application, there are things that occur that are unplanned…and this is one of them! How can you delete it? Edit the properties of the offending file and change the Content Type from eShuttleBase to one of the others (I believe I chose BaseQueryDoc, but I believe QueryFileDoc or MetaInfoQueryFileDoc will also work). You should then be able to delete the file and happily send it on its way to the SharePoint recycle bin!